Autumn 2017 seems like a very long time to wait, but it looks like it may be worth waiting for! Westgate Oxford is set to be fantastic. Westgate Oxford will be the new retail and leisure destination set to attract the best retailers and leisure facilities to the historic city of Oxford. It will create a new shopping and leisure experience in the heart of the city, scheduled to open in Autumn 2017, in time for Christmas. 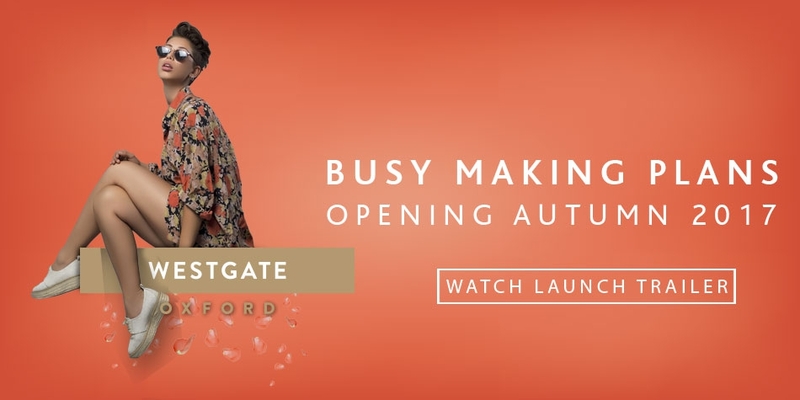 There will be many top brands available at Westgate Oxford, including the following; Hugo Boss, Calvin Klein, Victoria’s Secret Pink, Mac, Ernest Jones, Pret, John Lewis, H&M, Michael Kors, Primark, Superdry, Next, New Look and Schuh!